$0.99 (regularly $9.99) 2/15/2017 - 2/16/2017! In today’s modern digital age, it’s easier than ever for the average person to build an amazing brand to protect against economic instability. 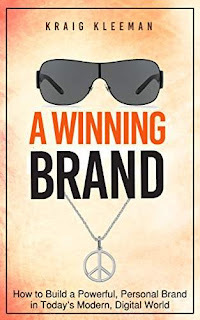 And that’s exactly what Kraig Kleeman shows readers how to do in his new book, A Winning Brand. Kraig takes readers on a journey to reinvent their brand, be seen as the expert in their field, and earn more customers, more referrals, and more visibility. Doing this allow individuals to be seen by the right people in all the right ways. Reinvention does not require a lot of money, but it does require a commitment to remake one’s brand and establish that new brand using every channel possible.